If you've been in the shooting sports industry for any length of time, you've probably had an interaction with a wholesale distributor; however, you may have never heard of the National Association of Sporting Goods Wholesalers (NASGW). In fact, you may be surprised to know that NASGW has been around since 1954. The association's primary role over the last 60 plus years has been to bring shooting sports wholesalers and manufacturers together for our annual expo. Retailers have had little knowledge of our organization or the impact we've made in the industry. In the last few years, NASGW has made an effort increase that awareness and share the importance of working with NASGW wholesaler members and the benefits of two-step distribution. To you understand a little more about our association, here are four things firearms retailers need to know about NASGW. In the last couple of years we have adopted the slogan, "Wholesale Trust" which really embodies our role in the industry. Our wholesaler members are uniquely positioned to partner with both manufacturers and retailers. They are the warehousing mechanism for a large portion of the industry's manufacturers and the supply hub for the retailers. The relationships they have built on both ends of the supply chain are much more than just relationships. They are partnerships because they are deeply invested in the success of the manufacturers and retailers. The glue that strengthens those relationships is trust, wholesale trust. It's the understanding that the wholesalers are there for the retailers when they have product needs, marketing help, or educational needs. Likewise, the manufacturers trust that the wholesalers will get their products in the hands of consumers in a timely and efficient manner. For decades the industry has relied on wholesale trust to keep products moving and keep funds flowing so manufacturers can focus on making excellent products and retailers can serve consumers. The obvious role of NASGW Wholesalers is product distribution, but their benefits don't end there. NASGW is proud to help facilitate credit solutions for wholesalers to provide to retailers. Beyond the financial opportunities, many of our wholesaler members go the extra mile by providing marketing, education, and logistics services better equip your retail staff with the tools they need to move products. As we mentioned previously, working with a NASGW wholesaler is a true partnership, and they are there to support their retail partners in a variety of ways. One of the biggest, yet least known, industry events is the NASGW Expo. Our event is limited to NASGW members only and provides a business-focused, trade show where wholesale buyers meet with manufacturers to review previous sales and plan out the buying strategies for the upcoming year. This is the first opportunity for wholesalers to see products that won't be released to the public until SHOT Show or beyond. It's a jumpstart for the wholesalers to have the products on their shelves when the retailers start placing orders. The Expo is the most significant and most impactful event that NASGW holds throughout the year. It is unique to the industry and provides a very efficient way for wholesalers and manufacturers to get business done so the wholesalers can support the retailers throughout the year. Along with all the sales meetings that happen, we also use the NASGW Expo to recognize industry leaders and innovative products with our NASGW Leadership Awards and NASGW-POMA Caliber Awards. The Leadership awards recognize manufacturers who most exemplify support and commitment to two-step distribution while the Caliber Awards recognize the most innovative new products for the previous year. Being that NASGW Wholesalers are uniquely positioned to move a large portion of the product within the shooting sports industry, NASGW has developed a brand new sales and inventory analytics tool to track and measure wholesale data. This platform is brand new to the shootings sports industry and allows NASGW wholesalers and manufacturers to see up to date sales and inventory information, helping them make informed decisions to improve product distribution. Many industries have utilized similar data analytics tools for years, but this has always been a challenge within our industry. NASGW wholesalers represent a vast majority of sales and inventory; therefore, NASGW is the only organization within the industry that can, by far, provide the largest sample of analytics data to our members. This newly accessible data will help everyone see the entire distribution channel in a more efficient and frequent manner, and allow wholesalers to help retailers make better decisions about what to buy, when to buy, and what's hot in the market. It's a whole new level of business analytics that will truly make each level of the distribution channel better. We are also in the process of creating a market overview report that will give a high-level picture of product movement across the wholesale channel. So stay tuned for forthcoming updates. 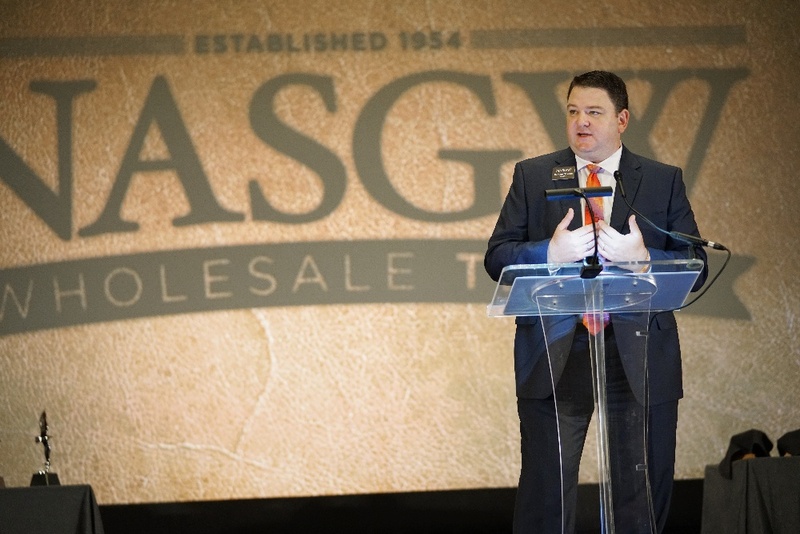 The National Association of Sporting Goods Wholesalers has quietly been impacting the shooting sports industry for decades by bringing buyers and sellers together. It has been our sole mission from the beginning, and we are proud of the work our members have done over this time to help consumers benefit from their Second Amendment Rights. We hope that you will look to NASGW Wholesaler partners for your shooting sports supply needs.